Gasoline engines have been around for the last century but did you know that ethanol is a very competive fuel? Ethanol is produced through fermentation and distillation of corn or sugarcane. With an increasing number of countries trying to curb carbon dioxide emissions, car manufacturers are on the lookout for alternative sources of fuel. The biofuel is used in conjunction with gasoline at a blend of 10-90%. In some countries like Brazil, the blend is even higher at 85 percent. But, why would someone use ethanol to run their car? 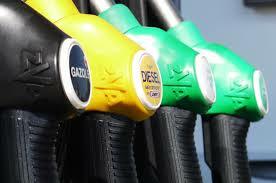 The increased preference for ethanol, as opposed to gasoline, is that ethanol leads to a reduction in greenhouse gases. Gasoline produces carbon dioxide as a byproduct and this harms the environment. However, the production process of ethanol involves many diesel-powered engines. Improvements in the production process will result in a significant reduction in greenhouse gasses emissions. According to some research, a car travelling a mile using ethanol produces emission of greenhouse gases by up to 30%. Some people opposed to the introduction of ethanol argue that infrastructure lacks to support it. But, ethanol fuel stations can use the existing gasoline stations. Storage houses and pipelines can me slightly adjusted to start using ethanol. In some parts of the USA ethanol, fueling stations exist with more under development. Many people often produce ethanol through the use of corn or sugarcane but many other reliable alternatives exist. Cellulose and plant fibre – which are readily available – can be used to produce cellulosic ethanol. There are many forms of plant fibre in the sea and land. The byproducts of ethanol production can be reused in other products. Dried distillers grain can be used as a source of animal foods. The carbon dioxide produced can be used in ice cream production and as a freezing agent. Every unit of ethanol produces corresponding units of energy. Some sources of ethanol are extremely energy balanced. Corn in the USA produces 1.3 units of energy for every unit used while in Brazil studies have revealed that you can have more than 8 units for every one unit of sugarcane. Experiments on cellulose have revealed that you can get 36 units of energy for a unit of the product. The widespread use of ethanol as a car energy source is hindered by a lack of proper infrastructure in areas that support ethanol production. In areas where ethanol is used, there is a lack of fueling stations and this means drivers continue using gasoline. The production process uses diesel powered machines which also emit greenhouse gases. More capital investments are needed to improve ethanol production – especially in developing countries. Ethanol is not as powerful as gasoline and this means you get a reduction in mileage. Estimates put the number at 20 to 30 percent. In some countries – where ethanol is scarce – it is cheaper to fuel your car with gasoline as opposed to ethanol. It requires an estimated 1.4 gallons to replace a gallon of gasoline in a car. This makes ethanol less effective as fuel. 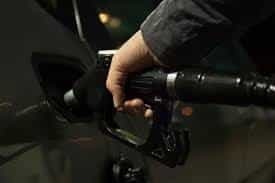 Most of the people driving ethanol-powered vehicles have reported noticing a 30 to 25% drop in mileage when using ethanol as opposed to gasoline. Gasoline is subject to international fuel prices. These prices fluctuate a lot due to demand and at times political interference. The cost of gasoline makes it expensive to run and operate 100 per cent gasoline cars. Countries with large acreage of corns under production tend to produce ethanol at a cheaper rate than gasoline. There are fewer price fluctuations with ethanol. While it is true that ethanol can be distributed through existing gasoline infrastructure there will be problems with the corrosive nature of ethanol. This is because ethanol absorbs water and this causes pipes to rust. The water is also subject to contamination causing further engine trouble. Engineers would need to come up with some form of insulation inside the pipes to prevent corrosion. You require a large acreage to produce sufficient amounts of ethanol to fuel cars in a country like the USA. Corn prices are volatile and this means you never know how much it will cost to produce a unit of ethanol. Land prices are high and it will be expensive putting large acres of land under corn production. Animals eat corn and this puts pressure on its use. The alternative would be widespread use of cellulose-based ethanol. An increase in the prices of ethanol will lead to farmers preferring its production. This will bring more acreage to it. Governments will need to offer farmers various subsidies to encourage corn production. Corn production is subject to varying weather conditions. People use cars daily and fuel production should not be seasonal. If pests affect corn farming then ethanol production goes down. How do you manufacture ethanol? The first part in the production of ethanol is the growing of corn or sugarcane. This is harvested and the raw products are taken through a process of fermentation. Enzymes are added to the raw materials and this converts starch into sugar. The sugar is then distilled. Distillation is the process where water is extracted from the solution so that one is left with ethanol. However, with the distillation the ethanol is not pure – around 85% – and you will need to go through dehydration so as to increase its effectiveness. During the dehydration process cyclohexane and benzene are added to the solution to produce vapors and liquid. This also produces anhydrous ethanol and vapor mix of benzene, water and cyclohexene. To increase the volatility of ethanol, a ternary component is added. Ethanol is often used as an alternative fuel to gasoline. The low greenhouse emissions are an added benefit to the environment. However, a lot needs to be done to develop infrastructure and put more acreage under corn farming. Fluctuating gasoline prices has led to scientists looking for alternative sources of fuel and ethanol happens to be a good choice. Honda Econ Button: What is it & When should you use it? What Is A Smog Test and How to Pass It? How many car brands does Volkswagen own? Pouring Gasoline in a Diesel Engine – What can happen?